An independent French developer has come up with another tool to fix all iTunes 9.1 problems on blackra1n’d iPhones running iPhone 3.1.2 firmware. This tool, like BlackBreeze promises to fix all issues that you may be having with iTunes 9.1 and your iPhone, running on jailbroken iPhone 3.1.2. For those of you who don’t know, Apple changed the location of some of the DLL files in the latest iTunes 9.1 which prevented blackra1n RC3 to work properly with jailbroken (tethered) iPhones on 3.1.2 firmware. By using Blackra1n for iTunes 9.1, you can fix this all with ease. Simply download Blackra1n for iTunes 9.1 and install it. 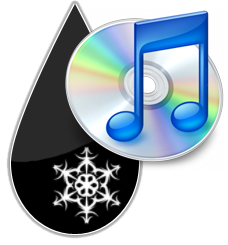 Now start iTunes 9.1 and this latest patched version of blackra1n that you just downloaded. Connect your iPhone with your PC and click on “make it ra1n” to start your device. NOTE: This version of Blackra1n is for Windows only, with iPhone and iPod touch running iPhone 3.1.2 firmware. Also check out our complete jailbreaking guides for iPhone 3.1.3 firmware for iPhone 2G, 3G, 3GS and iPod touch 1G/2G using redsn0w 0.9.3, redsn0w 0.9.4, sn0wbreeze, PwnageTool 3.1.5. Unlocking can be done using ultrasn0w or blacksn0w. For iPhone 3.1.2 firmware, you can use blackra1n, PwnageTool, redsn0w, sn0wbreeze, ultrasn0w and blacksn0w to jailbreak and unlock your iPhone and iPod touch. You can follow me on twitter or join our facebook fanpage to keep yourself updated on all the latest jailbreaking and unlocking releases. hey just wanted to let everyone know that this works for the Ipod touch MC model. I downgraded my firmware to 3.1.2 and used this fix, finally everything is working great. Oh is this a tethered jailbreak or can I shut the ipod off? Apple has released a new version of iTunes, iTunes 9.1 which changes how certain things work. If you have upgraded to iTunes 9.1, several programs will start giving you an error that ASL.dll is missing. This problem also occurs while trying to jb iphone using Blackra1n, when running the executable will give you an error saying that ASL.dll is missing. Once you copy the blackra1n executable to the above folder, create a shortcut for it on the desktop and double-click it to run it as usual. I hope it can help you. you can turn it off but if you have to jailbreak it again.so just dont turn it off. big thanks ATR! I must say that this is the simplest way to fix the issue… no need to install anything else. Mine just rebooted, with all the goodies.